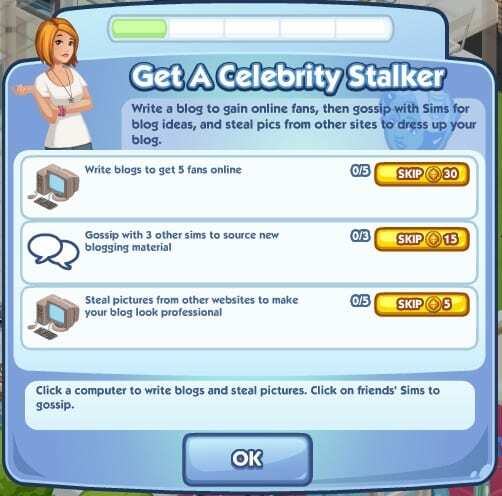 One of the tasks that I have at the moment is to get a celebrity stalker. 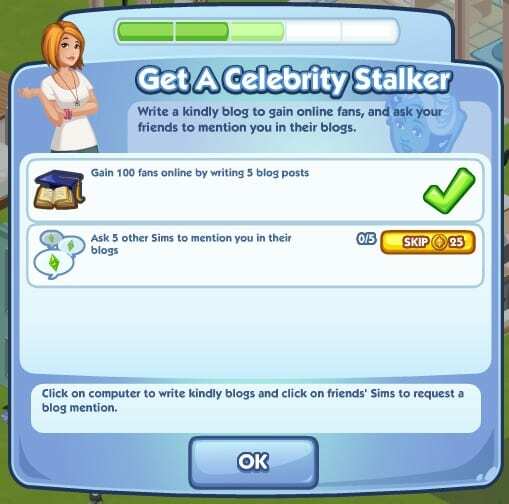 Except for some reason, you get a stalker by blogging. Uh huh. 5 blog posts…100 followers? I wish. 1000 followers for 10 mean blog posts? Easy. In light of this Jezebel article, perhaps the “celebrity” blogger part isn’t so unlikely? I am seriously obsessed with Sims social… I had to go cold turkey as I wasn’t getting anything done! Oh my that’s hilarious! Might have to start playing!